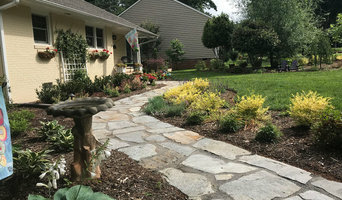 Metro GreenScape is the first choice landscape design and outdoor living specialist for the Charlotte and surrounding areas' most prestigious and growing neighborhoods. 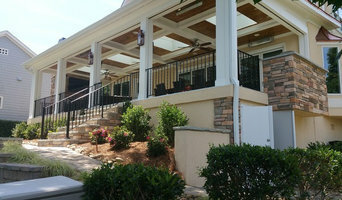 Our mission is to bring beauty and quality of life to neighborhoods and homes. We accomplish this by creating environmentally-friendly landscapes and outdoor living spaces that engage and enable families to replenish, inspire, nurture and encourage gatherings, entertaining and creating memories. Our goal is to masterfully design and meticulously build beautiful outdoor living spaces that naturally extend the living spaces of your home while increasing its property value and enjoyment. *Belgard Authorized Contractor* H2O-Matic Irrigation & Landscaping is at the forefront of the industry in Hardscaping, Landscaping, Irrigation, Landscape Lighting and More. Because we enjoy what we do, we are committed to customer satisfaction and warranty our work from the ground up. Actually in our case from underground up! We strongly believe in using high-quality products and strive for excellence in all of our installations. We are fully licensed and bonded. 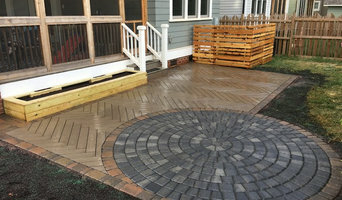 We are certified installers of Belgard and Techo-Bloc Pavers and are ICPI certified. BMS CONSTRUCTION is a premier general contractor in the Carolinas operating in the greater Charlotte and surrounding communities in both NC and SC. With over 35 years’ experience in the construction industry both locally and internationally. Specializing in new construction and remodeling, kitchen and bath renovations and handyman services. BMS Construction knows exactly what it takes to provide exceptional quality in the construction industry be it in the residential market or the commercial field. Outstanding teamwork amongst the talented craftsmen shows in their meticulous attention to detail. By blending old world quality with modern technology, we are able to produce fine and long lasting, quality workmanship. BMS CONSTRUCTION knows what it takes to satisfy customers who frequently live in their homes throughout the renovations. We work for repeat customers on an ongoing basis. That speaks volumes in our industry. BMS Construction will take a project from inception to completion through all phases of construction and pre construction, liaising with all officials and necessary parties concerned, leaving the client with a trouble free and pleasant experience at an affordable price. The Whole Blooming Landscape is a design, installation, and maintenance company serving Charlotte's most prestigious addresses. 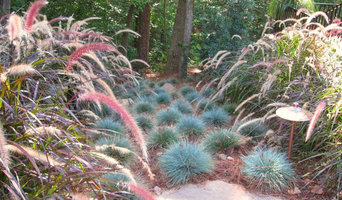 Our staff has more than 30 years of experience providing the highest quality horticultural service. Our philosophy is "beauty from the ground up." We understand that in order to create beautiful environments that bring enthusiasm, beauty, and peace, it starts from the roots and goes all the way to the blooms of your flowers. Our staff at The Whole Blooming Landscape is knowledgeable, dedicated, detail-oriented, personable and accessible. We want to make your project as easy for you as possible and provide the best customer service possible using the best talent. Check out our work! Whether you want to keep your children and pets safe in the garden or get a little more privacy from your neighbors, fencing is important from both an aesthetic and security standpoint, so you definitely want your Indian Trail, NC fence installation done right. When browsing Indian Trail fence installers on Houzz, look for an experienced professional who has completed projects similar to yours and can provide insight and suggestions on materials and fence designs. Research your options prior to talking with a fence installer in Indian Trail, NC as you’ll have a better idea of what you want and need. Additionally, put together a Houzz ideabook with fence styles and designs that you want — this will help your professional turn your vision into a reality.